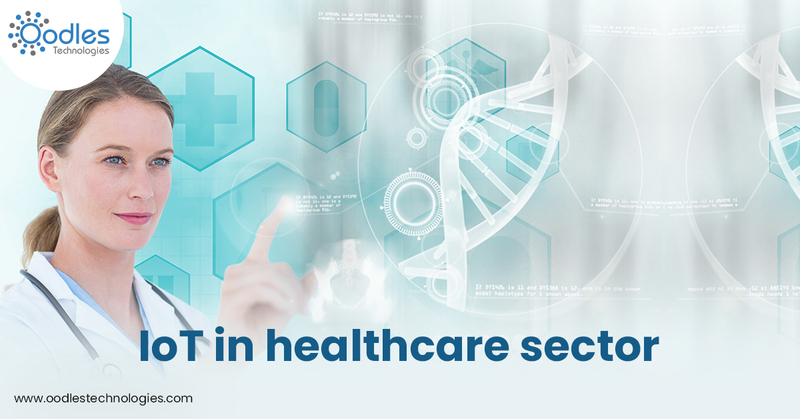 The use of IoT in the healthcare sector is growing rapidly. These devices are video cams, wireless devices, ID cards, and wristwatches. Also, IoT improves healthcare sector by automating several operations of the management; for instance, patients admissions, administrations and so forth. In Addition, numerous hospitals are using BLE (Bluetooth Low Energy) tags to track their staff. BLE tags will also help them track their inventory. Hospitals are using IoT services in operation theatres. AI enabled automated devices and robots are helping in a number of surgeries and other medical procedures. Doctors perform operations very precisely by accompanying AI enabled robots and devices. Such activities push the cut off points of laparoscopy and other medical procedures. Also, the whole operating room can be changed into a place where gadgets intercommunicate as per each other's activities. IoT apps and devices streamline day to day activities of the medical team before and after operation. Prior to a medical surgery, doctor’s team connect patients with their AI enabled medical equipments. After analyzing patient’s reports, doctors brainstorm what medication solution they have and what specialist doctors have suggested for patients. Following the medical surgery, various IoT sensors can gather, examine and send information to eradicate postsurgical problems. Integration of IoT and robotics enables complex operation such as remote surgery as well as simple service such as remote consultations. Hospitals are achieving high-end goals by connecting medical instruments and gadgets to the specialist via video conference. Doctors also take help from the case studies of previous medical surgeries. When these studies automatically saved on a cloud server, doctors quickly access these records for other surgeries. The advantage of IoT in medical surgeries is very important. Data analytics influences every partner in the healthcare framework. Predictive Analytics equipped with big data gives deep knowledge and uncover hereditary, social or clinical determinants of patients. An effectual information-driven way to deal with medical services are better commitments, and upgraded decision making for hospital units. Medicines production and management is a multibillion-dollar industry and is one of the major expenses amongst medical services. From the production plant to the pharmacy store, IoT gadgets can guarantee adherence with all the security measures that exists on the drugs market. It is too soon to analyze smart clinics and hospitals. Once completely embraced, IoT incites the accomplishment of shared objectives for every partner in medical services. Oodles technologies, one of the best IoT service providers around the globe is known for his services. For any business specific requirement please feel free to contact us 24*7.